Sam has earned a reputation for vision, innovation and leadership throughout his 40-plus-year career in commercial and residential real estate. As the President and CEO of Strouse Greenberg & Co., a privately held full-service real estate company headquartered in Philadelphia, he managed a $1 billion portfolio of investment grade assets. During his 22 years there, he became its largest shareholder and the driving force in its development and management enterprise until 1992, when Strouse Greenberg & Co. merged with Richard I. Rubin Company and the Rubin Organization. Following that, Mr. Switzenbaum served as Vice Chairman of the Rubin Organization and, as one of its four principal shareholders, a member of its executive committee. 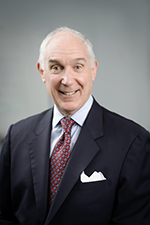 Mr. Switzenbaum served on the Board of Directors of Equimark Bank, Liberty Bank, and the Bank of Old York Road. 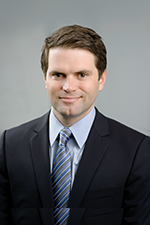 In addition, he has been a member of the Urban Land Institute, the Pension Real Estate Association, the Philadelphia Board of Realtors, and the Wharton Real Estate Center as a guest lecturer in graduate real estate courses. A Baltimore native, he graduated from the University of Maryland and attended the University of Baltimore Law School. Josephine Wang is an accomplished real estate executive with extensive background in all aspects of the real estate development business. She has significant experience in directing the development and investment of over $200 million of multifamily properties. Today Ms. Wang is the president of Switzenbaum Realty Capital, a wholly owned subsidiary of Switzenbaum & Associates whose principal business is securing private equity from Asian investors. Ms. Wang has always been deeply involved in the Asian community and has a solid network of political contacts making her a vital contact for the Asian community. She has been an active member in the Asian American business community her entire professional career. Having held active positions in local civic, community, and business organizations. Ms. Wang earned her Bachelor of Arts degree in Accounting from Lehigh University at Bethlehem, Pennsylvania. 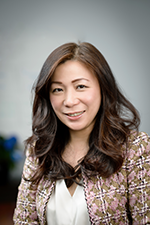 Renee Yidan Shi is the Marketing Director of the New Jersey EB5 Regional Center with primary expertise in marketing management and investor relations. Ms. Shi is responsible for Center’s strategic business development in China, working closely with the largest Chinese EB5 marketing agencies and investors. 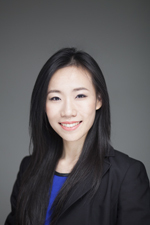 Prior to joining the New Jersey EB5 Regional Center, Ms. Shi was an entrepreneur in Philadelphia, she has contributed to marketing assignments for commercial banks, international trade, and real estate service providers in the U.S. and China. Ms. Shi earned a Master’s degree from the University of Pennsylvania. She is fluent in Chinese and English and based in Shanghai, China. She currently serves on the Board of Directors of the University of Pennsylvania Alumni Club in Shanghai.